A South Coast community that has long been waiting for open space finally has a park of their own. 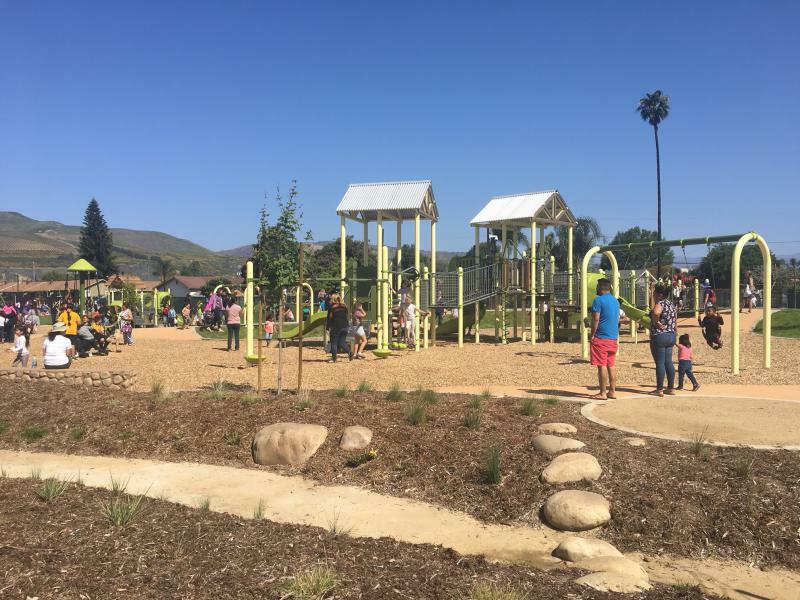 Kellogg Park located at Kellogg Street and Ventura Avenue on the Westside of Ventura is now open to the public. "There's a lot of games for the kids, and I see a lot of people around here with the kids playing around. So, now they're going to have a close place to go play. I just like to see them smile," said Alejandra Cota, a mother of three who lives across the street. The Ventura City Council approved the purchase of the 2 1/2 acre site in 2013, and the park was built in partnership with The Trust for Public Land, Kaiser Permanente Heal Zone and the community. It features a playground area, walking path, outdoor fitness equipment, stone amphitheater, community garden, bike racks and nearly two acres of native plants. Kellogg Park was built in less than one year of construction at a cost of $3.5 million.